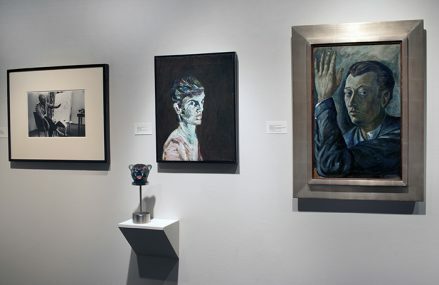 Mary-Anne Martin|Fine Art is pleased to announce our spring/summer exhibition “Artists by Artists,” featuring self-portraits, commissioned portraits, and portraits of artists by their contemporaries. 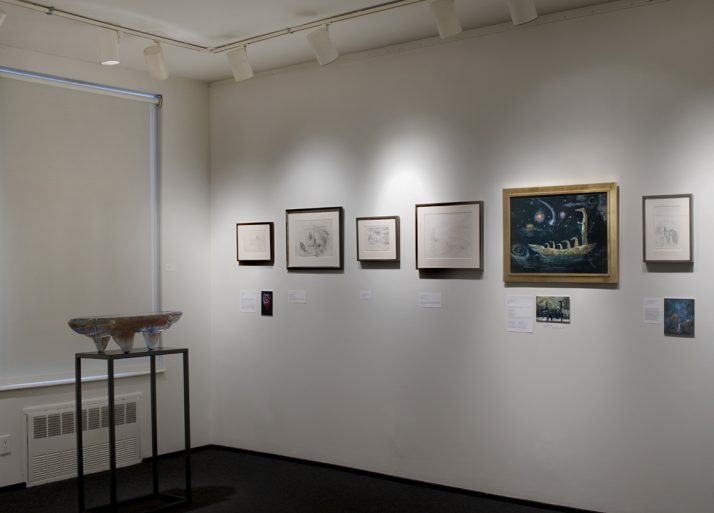 Included are paintings, works on paper, and photographs from the gallery’s inventory, augmented by gracious loans from private collectors. 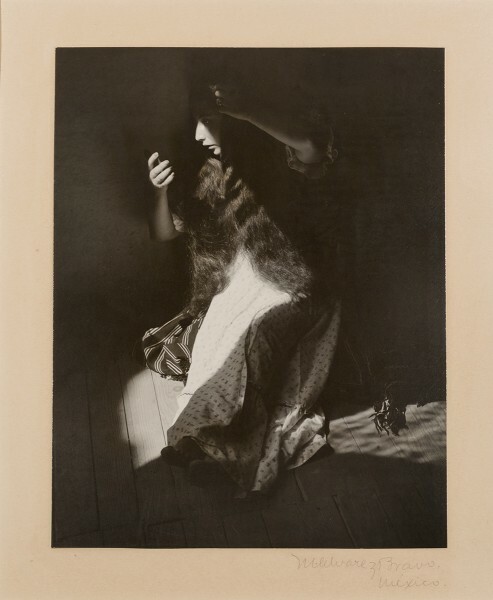 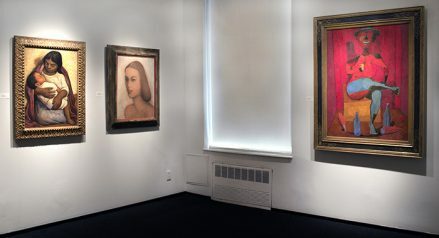 On view are works by Lam, Kahlo, Carrington, Gerzso, Covarrubias, Rivera, Siqueiros, Orozco, Tamayo, Toledo, and Zenil, among others, and photographs by Nickolas Muray, Graciela Iturbide, and Dora Maar. 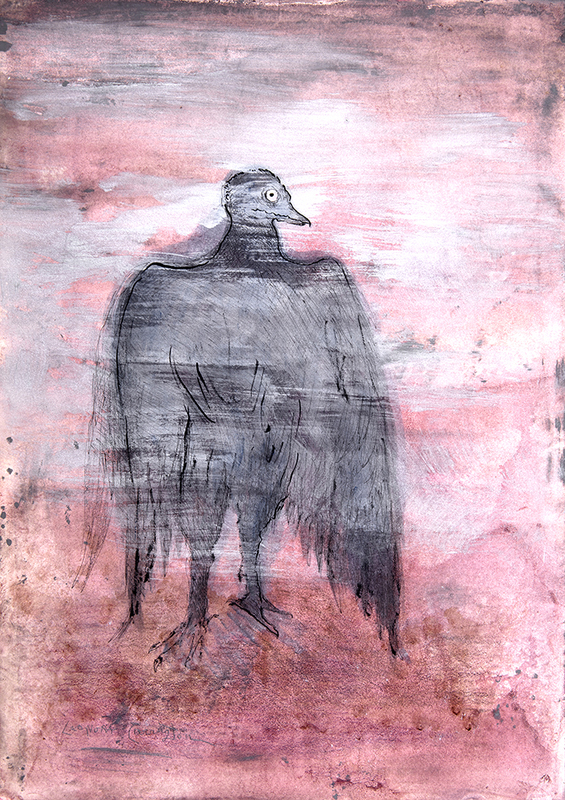 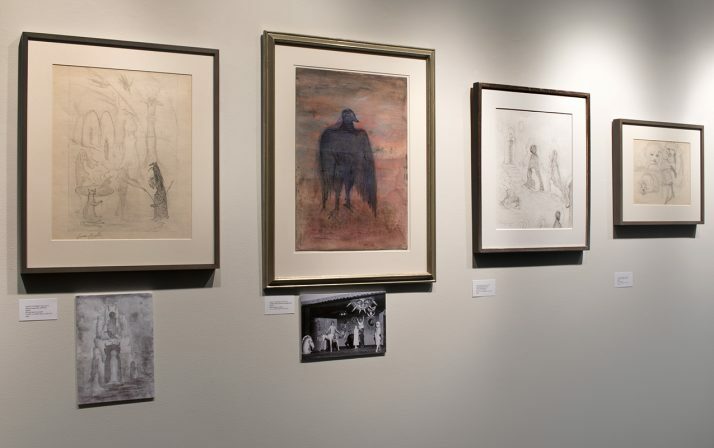 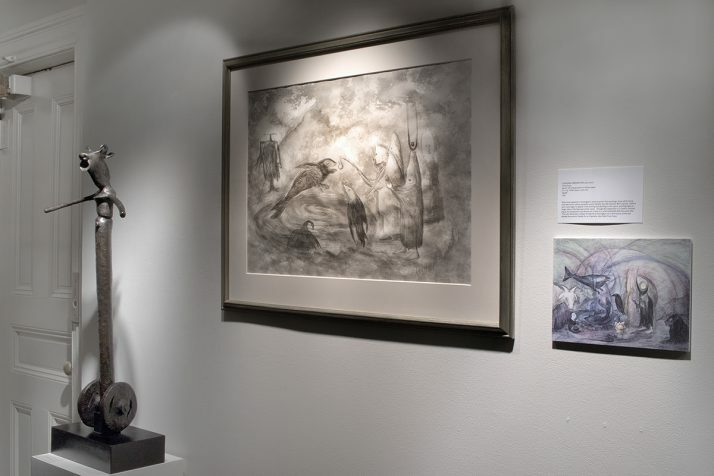 Mary-Anne Martin|Fine Art will exhibit three original artist’s sketchbooks. 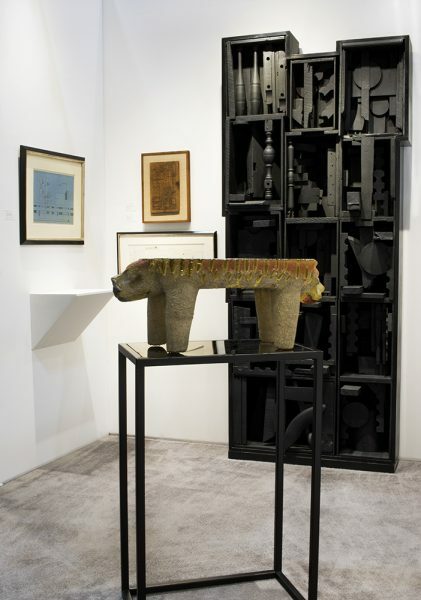 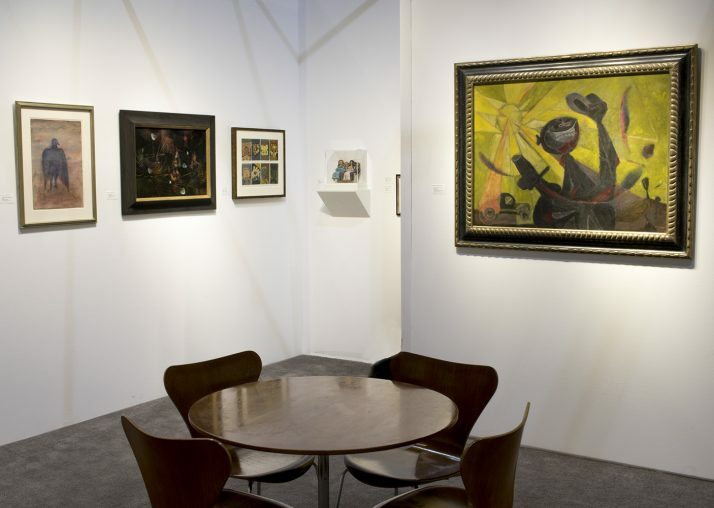 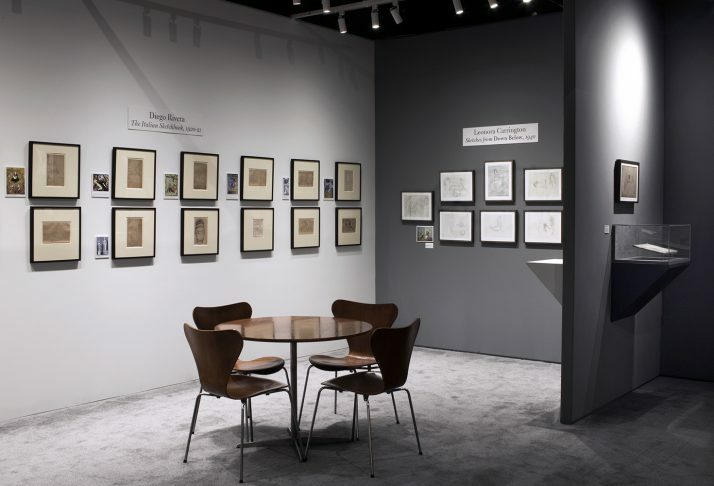 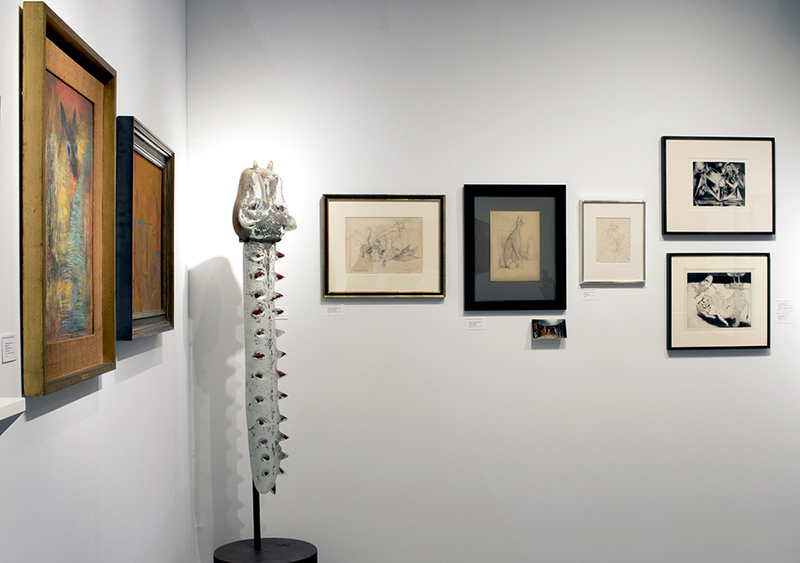 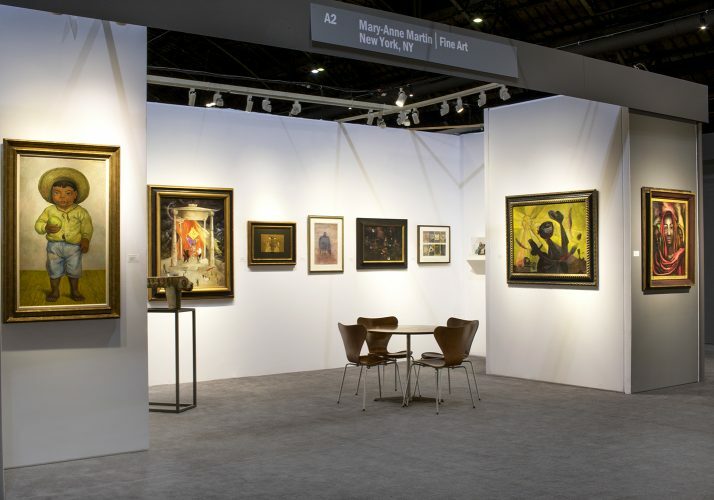 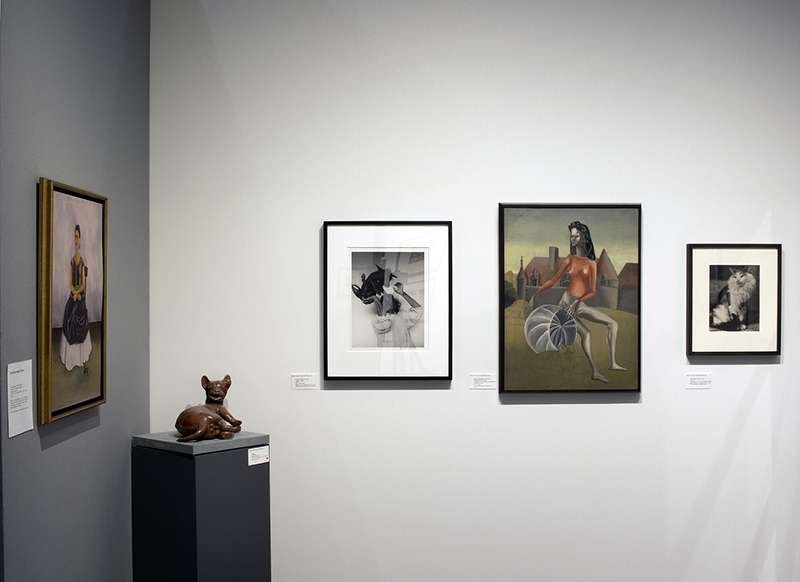 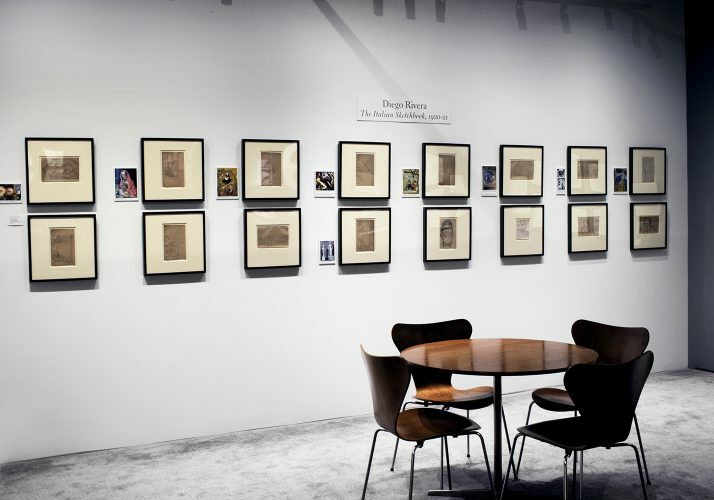 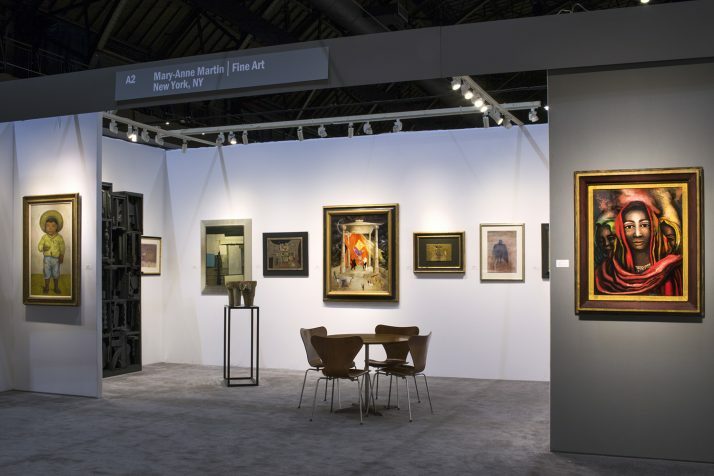 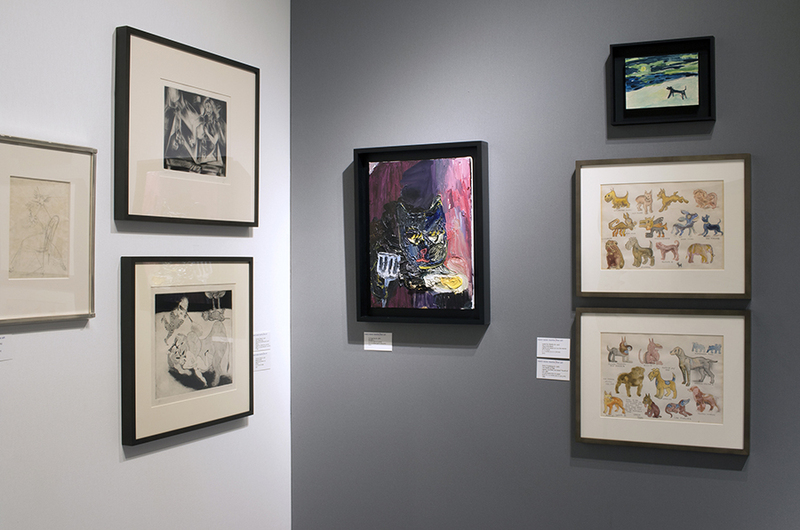 Please visit us in booth A4 at the Park Avenue Armory, February 28 – March 4. 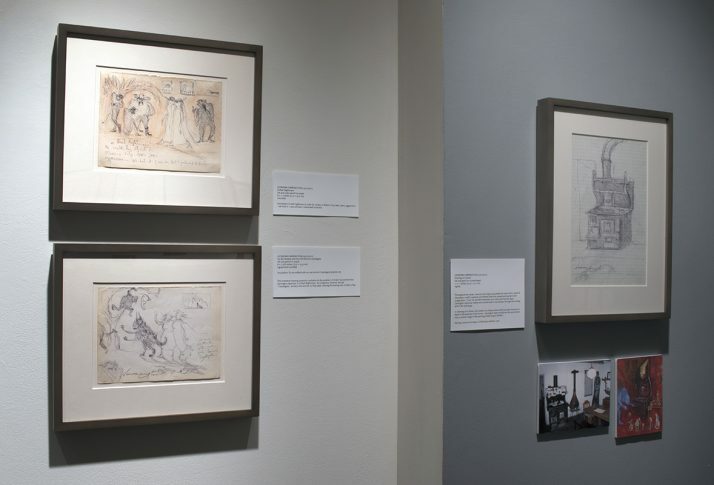 The following sketchbooks will be on view. 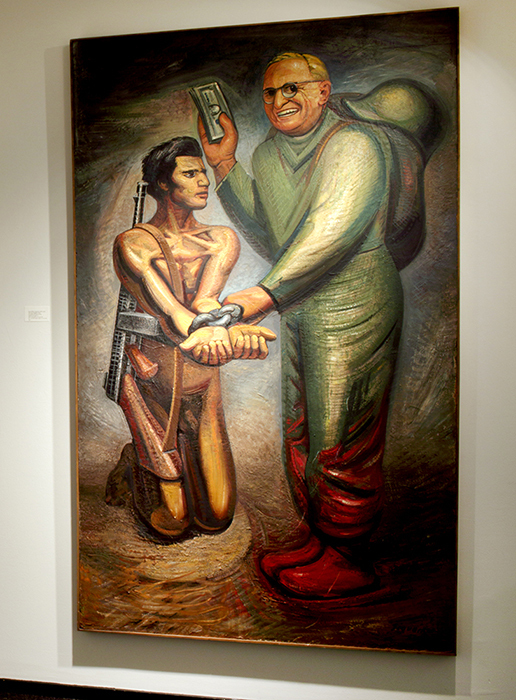 At the conclusion of the Mexican Revolution in 1920, José Vasconcelos, the new Secretary of Public Education, devised a plan to promote the ideals of the revolutionary government through an ambitious program of mural painting. 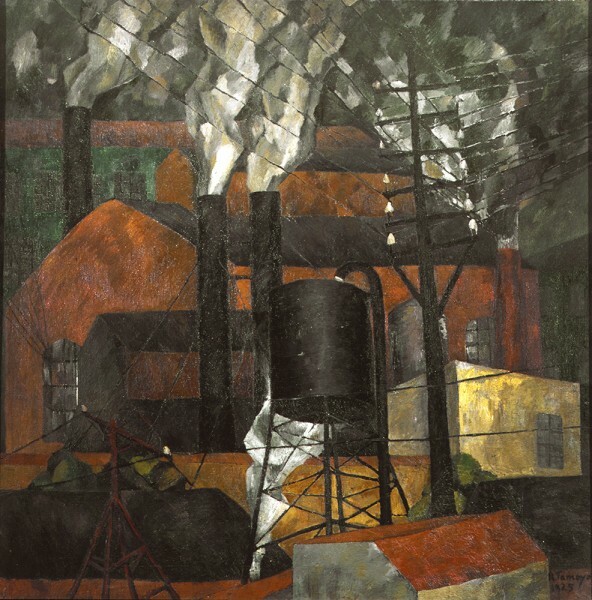 Diego Rivera was asked to head the movement, and accepted on the condition that that he could first tour Italy in order to study first hand the fresco paintings of the Renaissance. 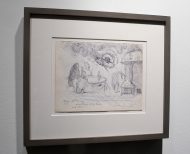 Traveling in Italy, Rivera sketched as he viewed the frescoes and paintings of artists such as Giotto, Uccello, Mantegna, and Tintoretto, making handwritten notes in several languages directly on his drawings. 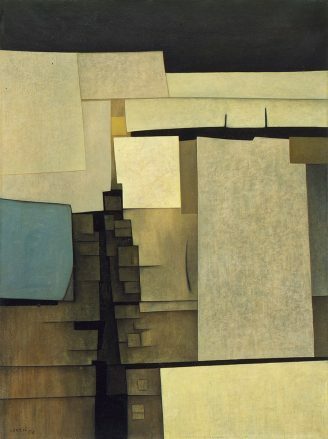 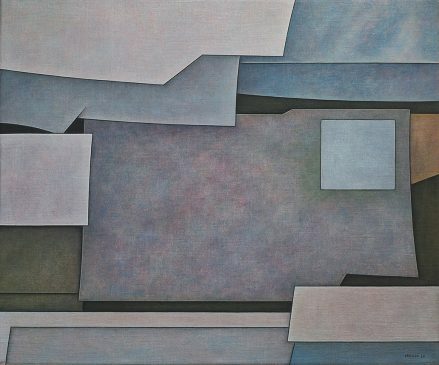 He was keenly interested in the relationship between painting and architecture, later putting his observations to brilliant use in the murals that he painted. 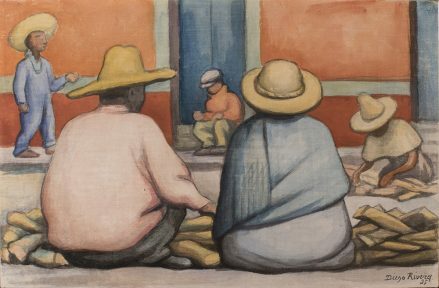 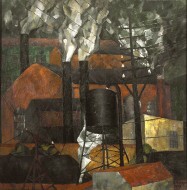 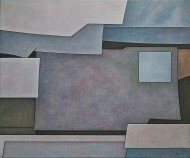 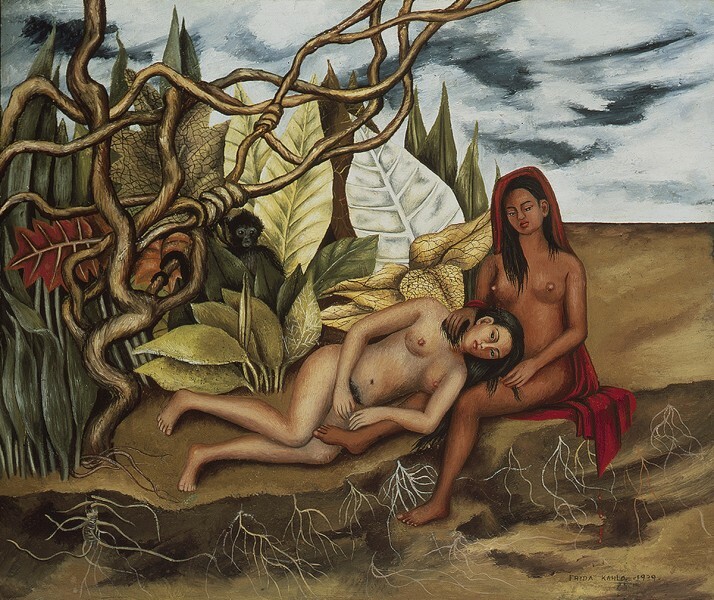 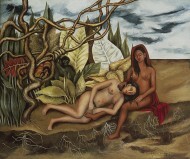 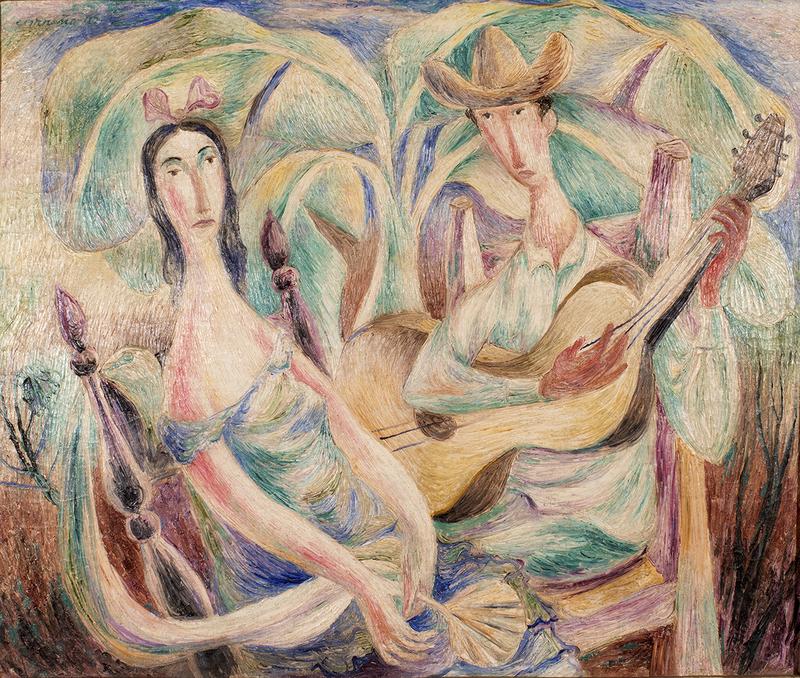 In translating the formal ideas and techniques of the Renaissance painters to his mural projects in Mexico and the United States, Rivera provided the historical link between the Italian Renaissance and Twentieth Century Muralism in the Americas. This sketchbook was created in 1943-46 when the young artist was strongly influenced by the circle of Benjamin Péret, a small group of European artists exiled in Mexico during the 1940s. 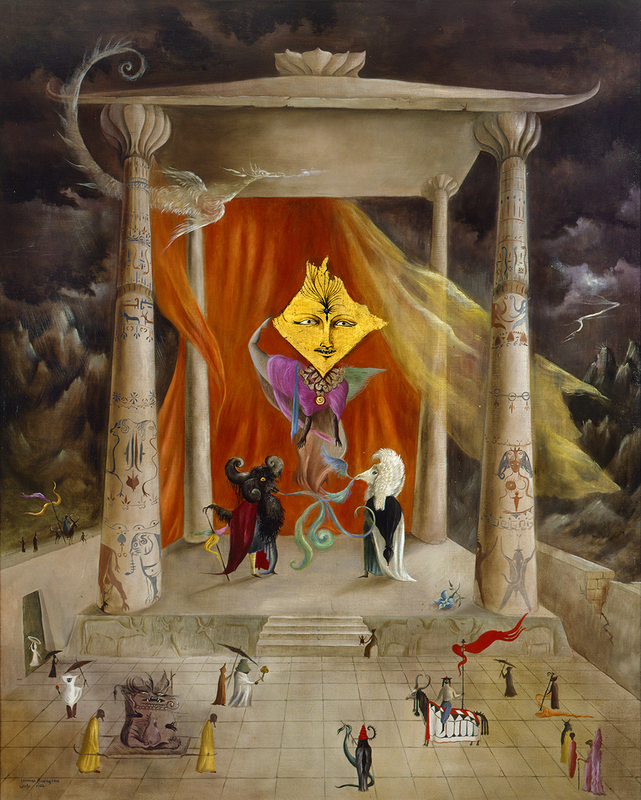 The book presents a striking record of Gerzso’s close ties to Leonora Carrington, Wolfgang Paalen, André Breton, Remedios Varo, César Moro and Alice Rahon. 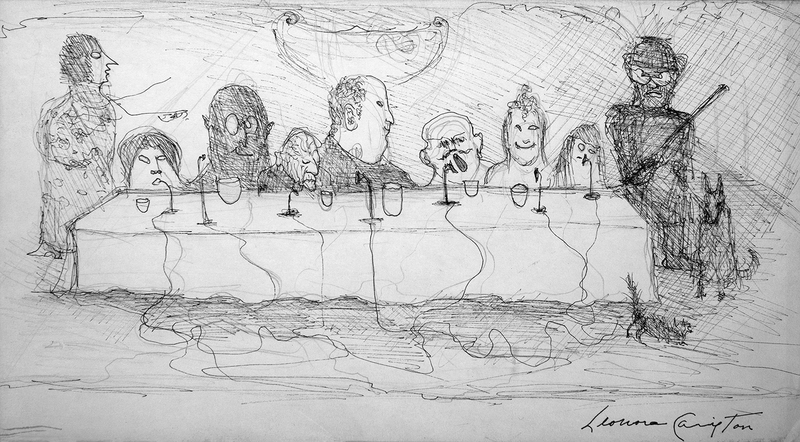 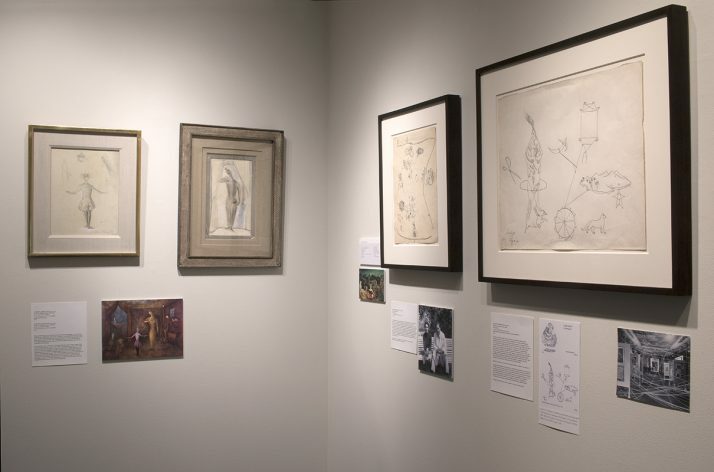 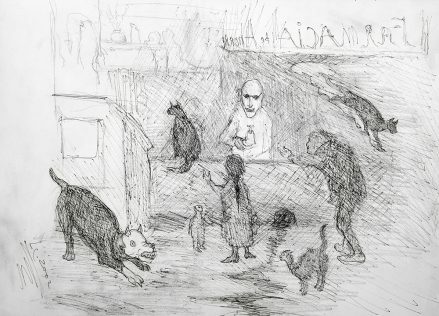 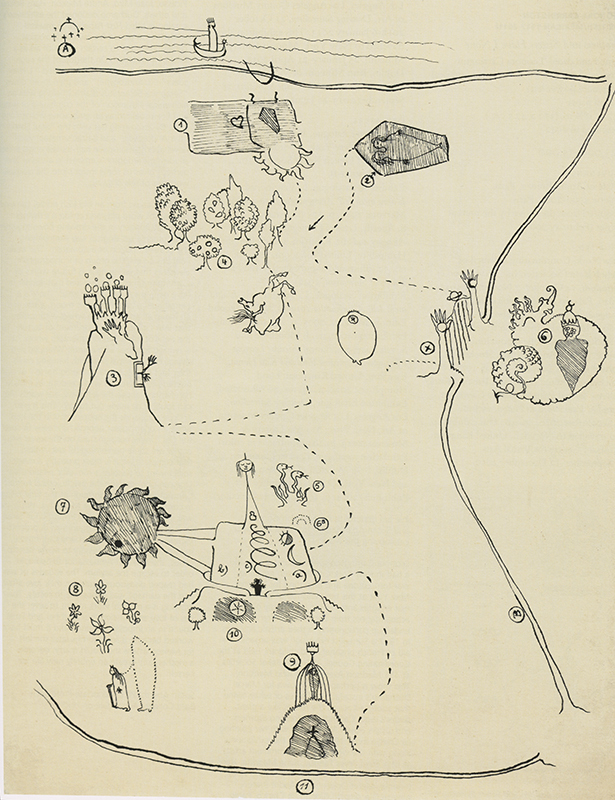 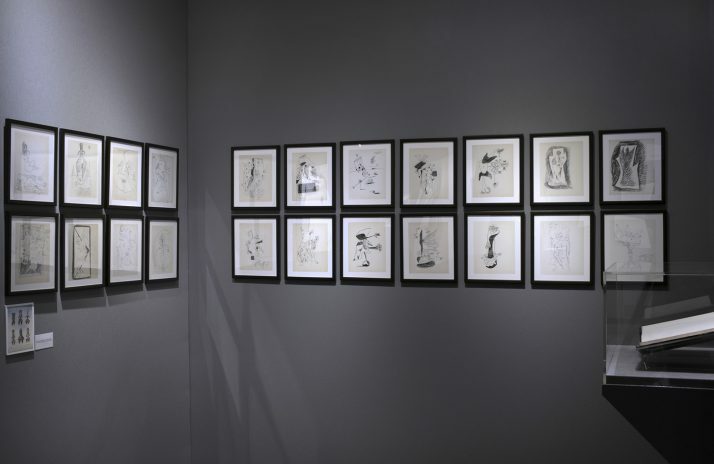 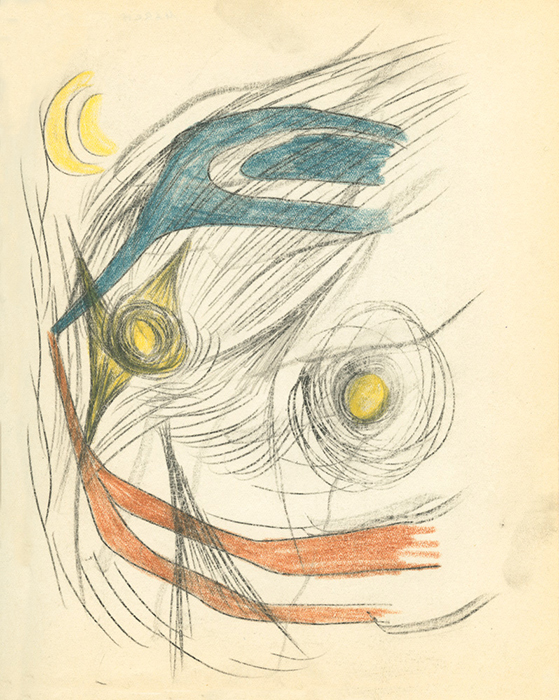 Many of the drawings in the sketchbook were made through the carbon paper transfer method, which the Surrealists used to stimulate automatic drawing and “subconscious” creativity. 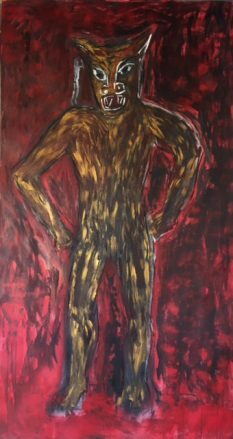 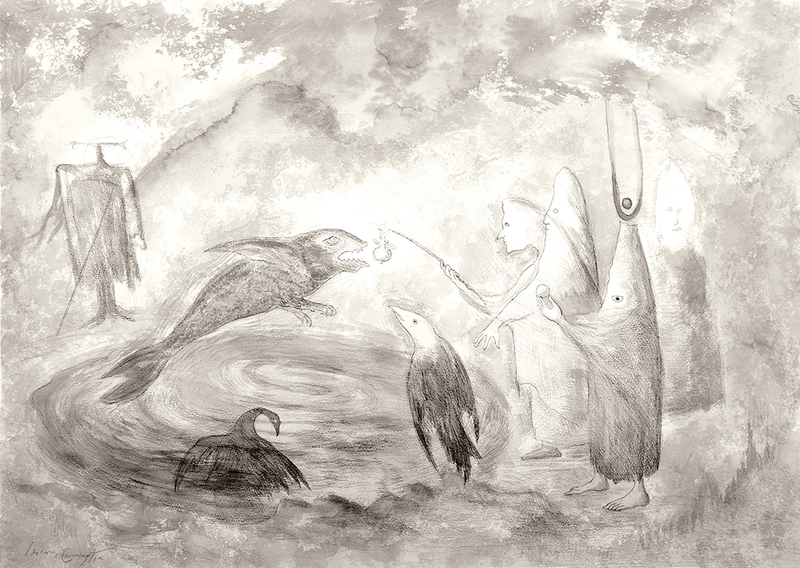 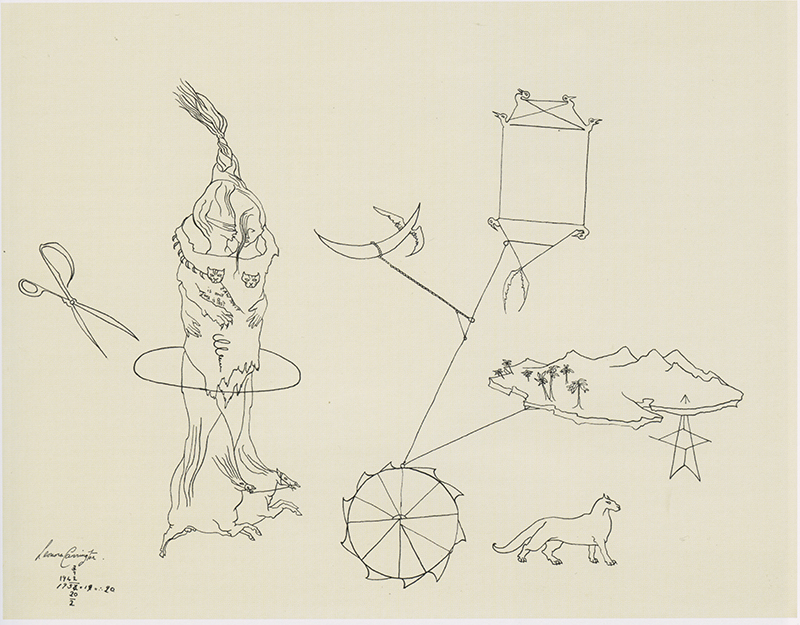 Another group of drawings was inspired by the discovery of the Pre-Columbian village of Tlatilco. Pre-Columbian art and archeological sites had a profound impact on Gerzso’s own artistic output, as it helped him move away from European ideals to create his own artistic style deeply rooted in the landscape, culture, and history of Mexico. 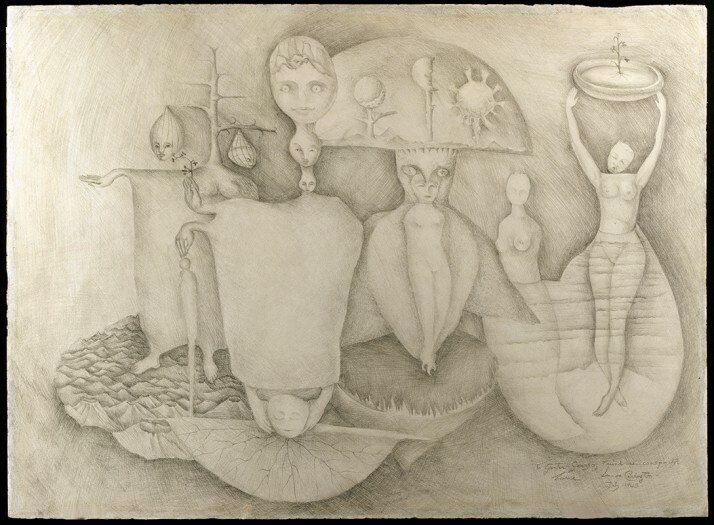 This rare original sketchbook was drawn in October 1940 while the 23 year old artist was involuntarily committed to the Sanatario Morales, a psychiatric institution in Santander, Spain. 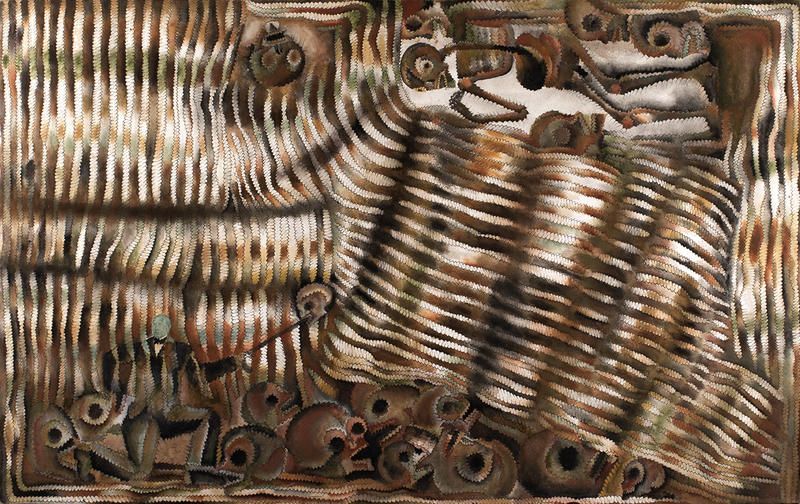 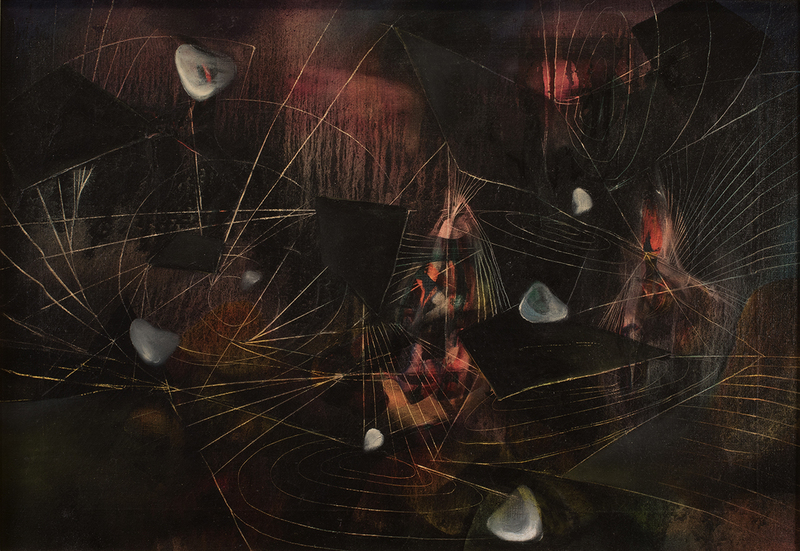 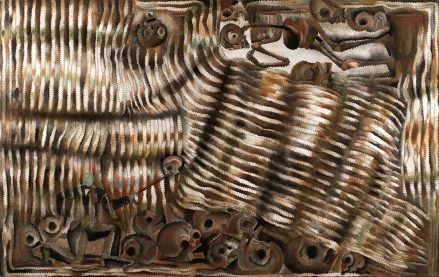 Following the forced separation from her lover Max Ernst and the onset of World War II, Carrington suffered a nervous breakdown and was institutionalized by her British parents. 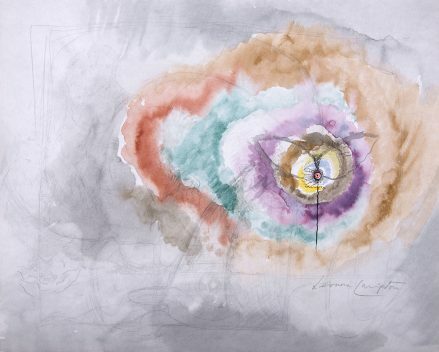 While she was suffering through drug-induced seizures, the chemical equivalent of shock therapy, she was also provided with art materials by her doctor, Luis Morales, and encouraged to draw as part of the healing process. 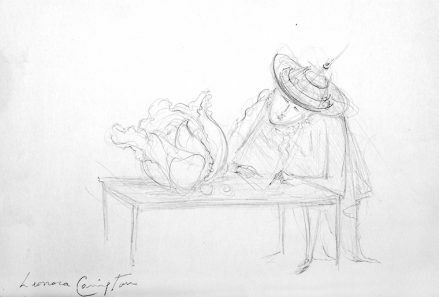 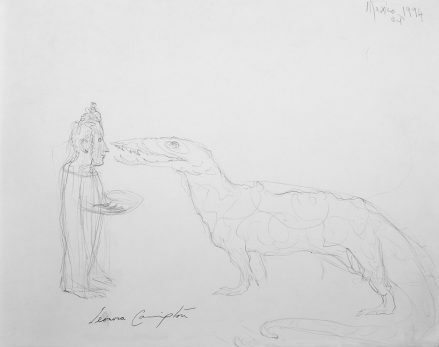 The sketches bear witness to Carrington’s exquisite draftsmanship, imagination and creativity. 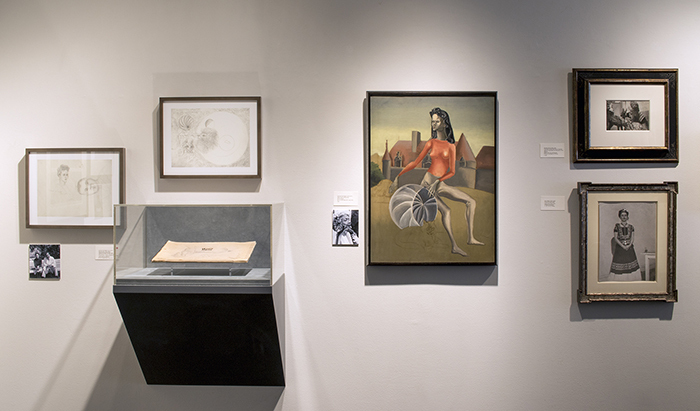 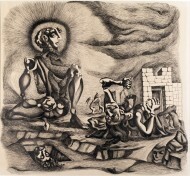 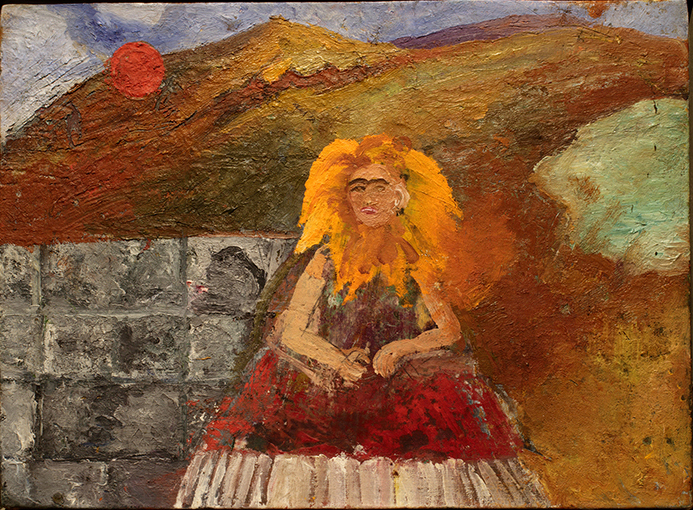 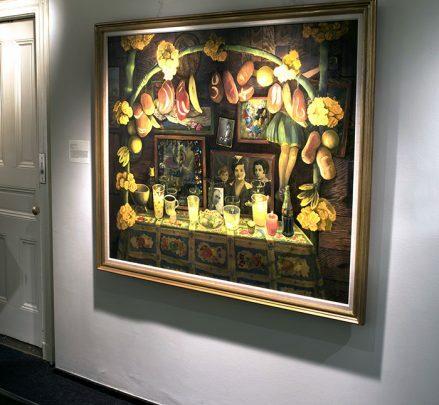 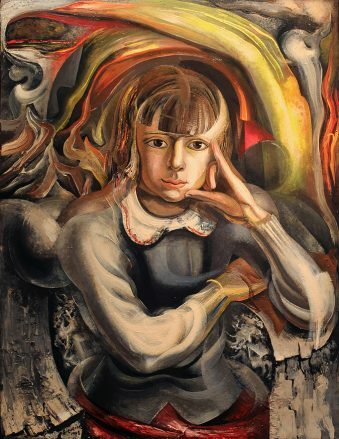 Several of them relate directly to paintings she completed in 1941- 42 following her release from the hospital, her journey to New York and reconnection with expatriate surrealist friends, including André and Jacqueline Breton, Stella Snead, Luis Buñuel, Amédée Ozenfant, Max Ernst and Peggy Guggenheim. 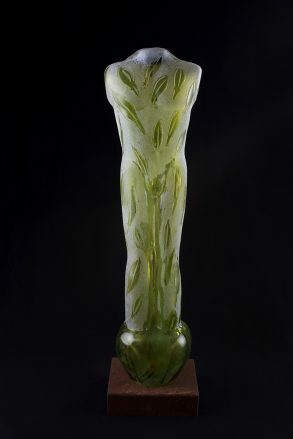 It is being exhibited to the public for the first time. 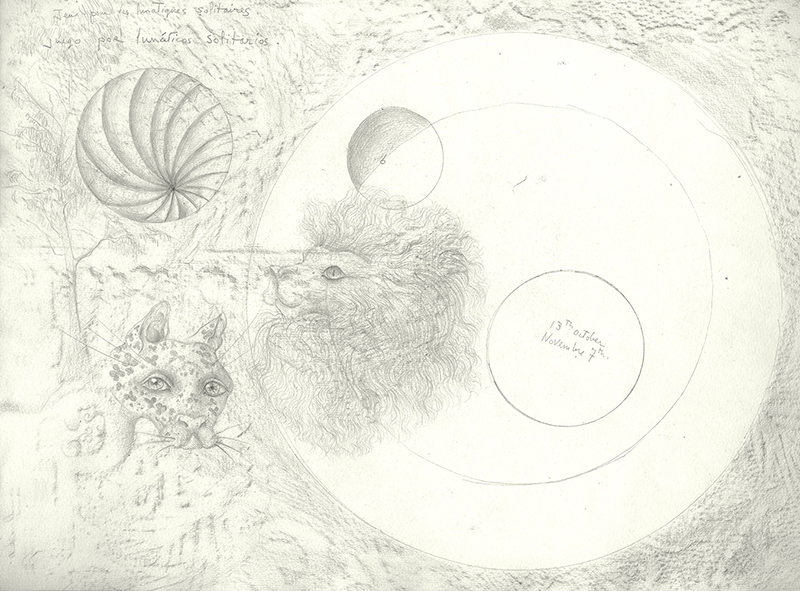 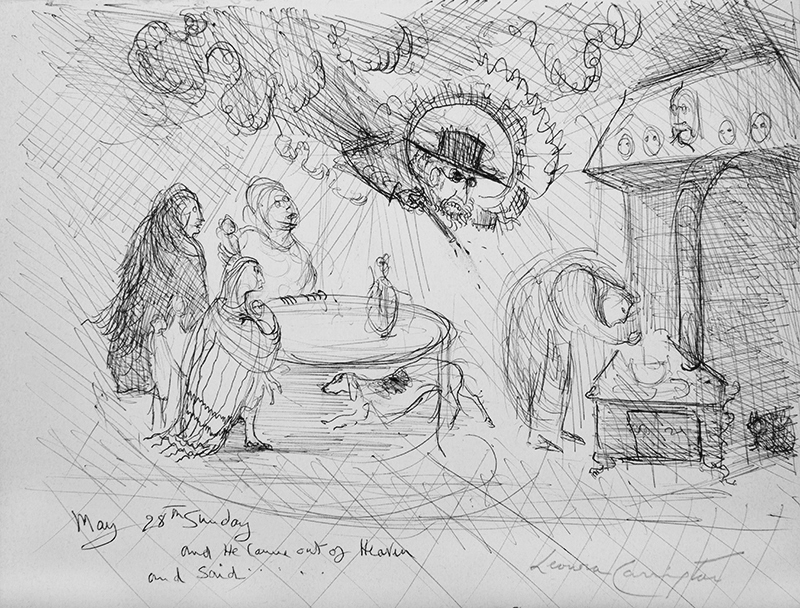 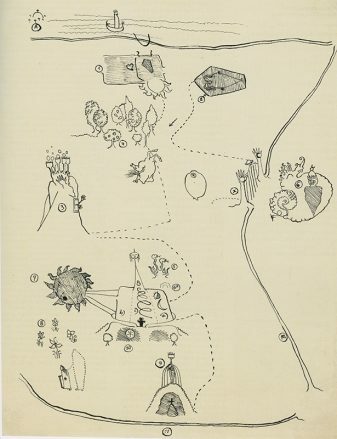 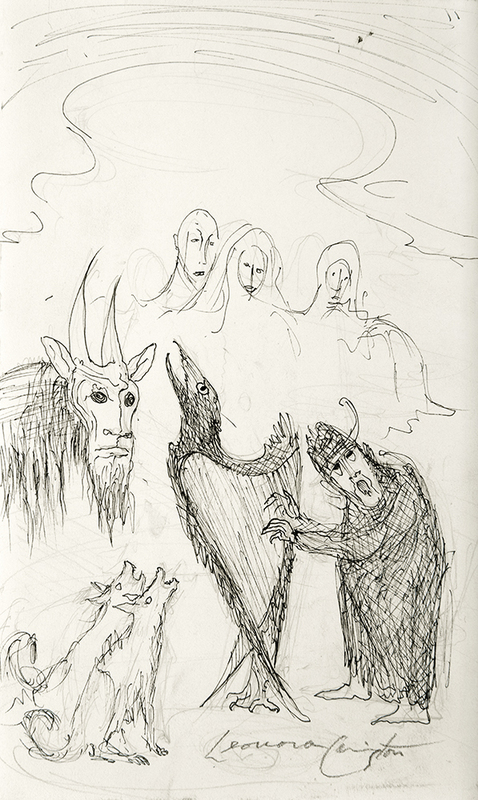 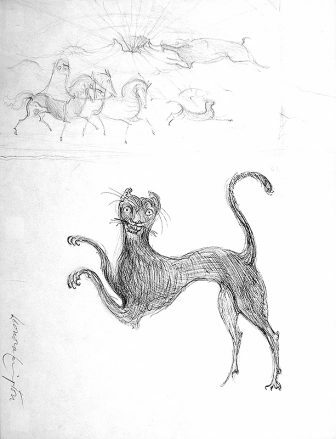 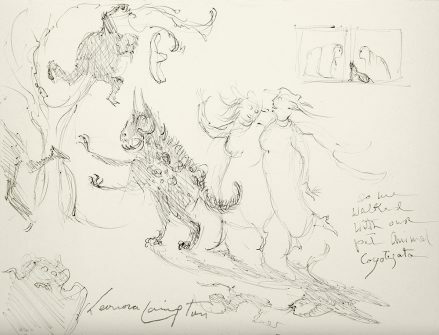 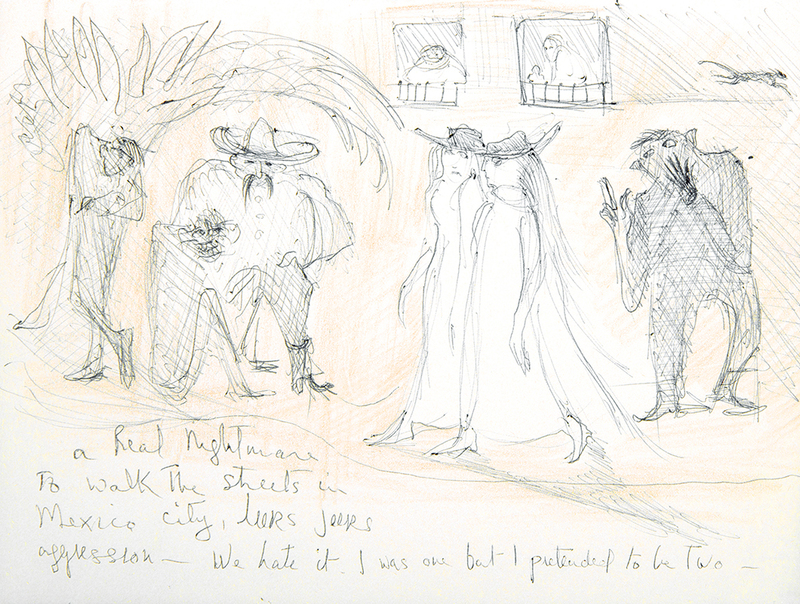 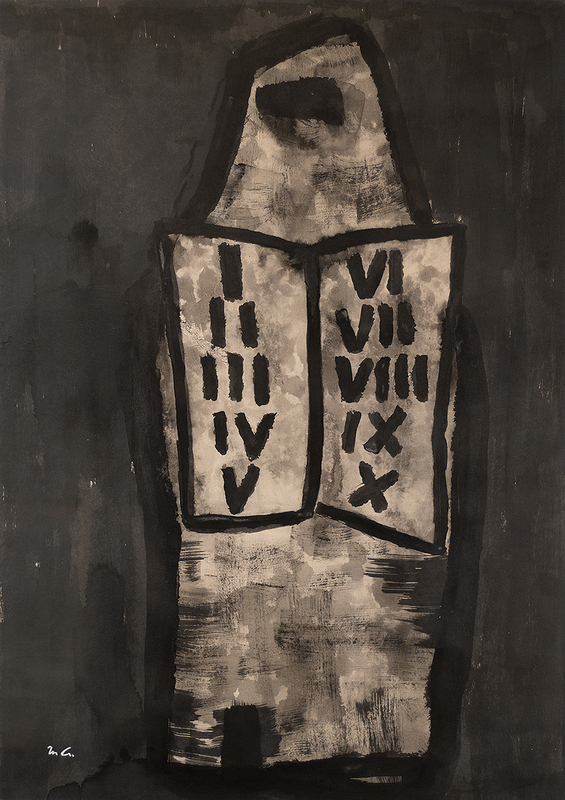 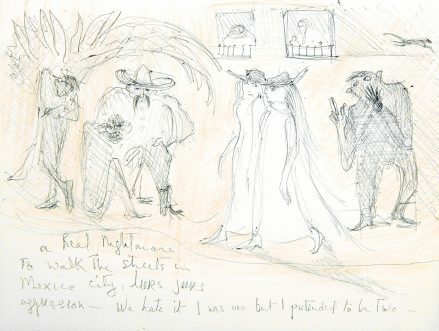 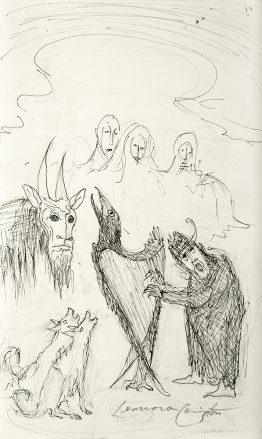 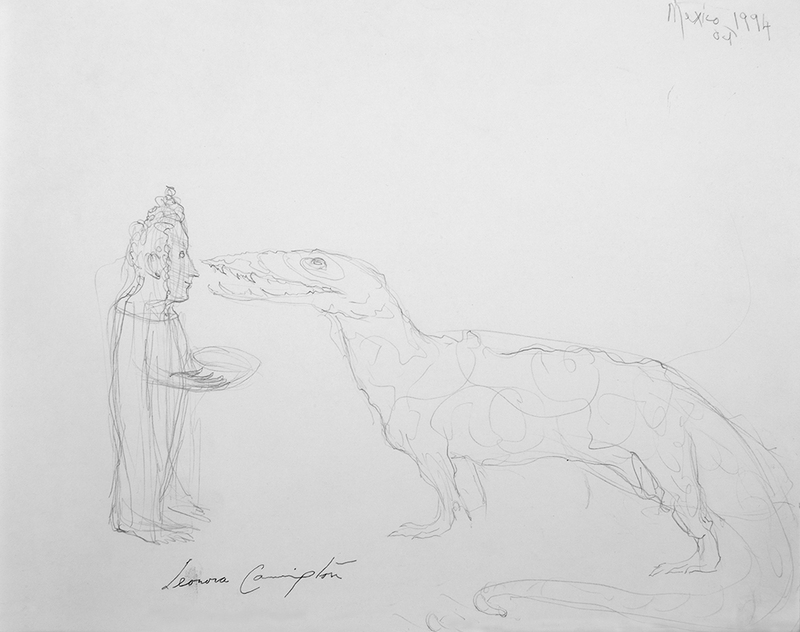 Mary-Anne Martin|Fine Art is pleased to announce the presentation of a rare original sketchbook by Leonora Carrington, drawn in October 1940 while the 23 year old artist was involuntarily committed to the Sanatario Morales, a psychiatric institution in Santander, Spain. Following the forced separation from her lover Max Ernst and the onset of World War II, Carrington suffered a nervous breakdown and was institutionalized by her British parents. 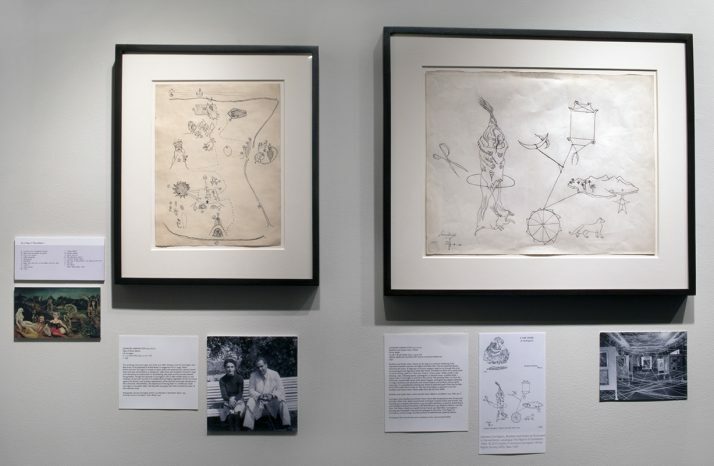 While she was suffering through drug-induced seizures, the chemical equivalent of shock therapy, she was also provided with art materials by her doctor, Luis Morales, and encouraged to draw as part of the healing process. 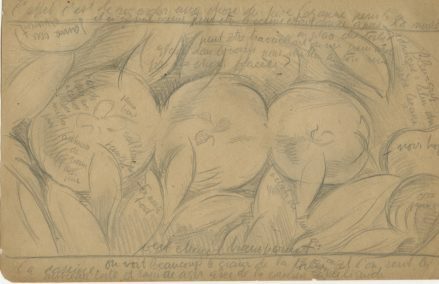 Informally titled “Sketches from Down Below,” this is one of only two known sketchbooks from this period. One that is dated September, 1940 was broken up many years ago and the pages are dispersed throughout various collections. 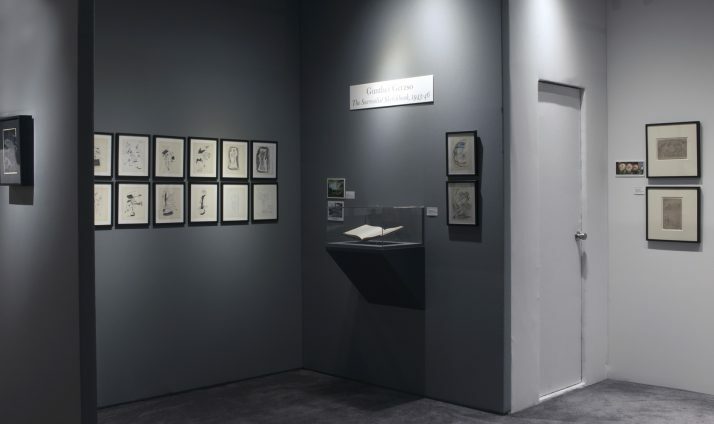 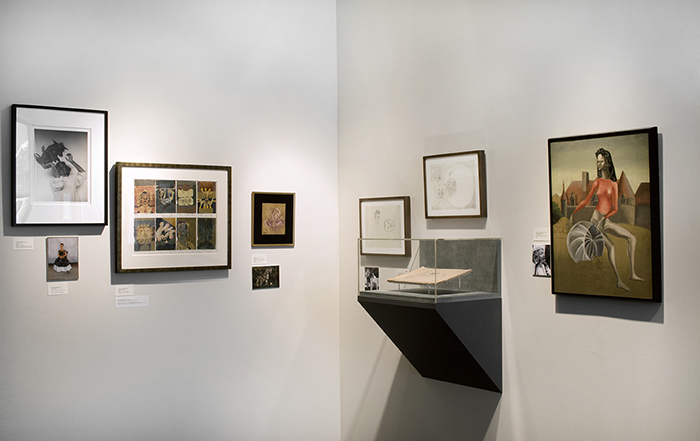 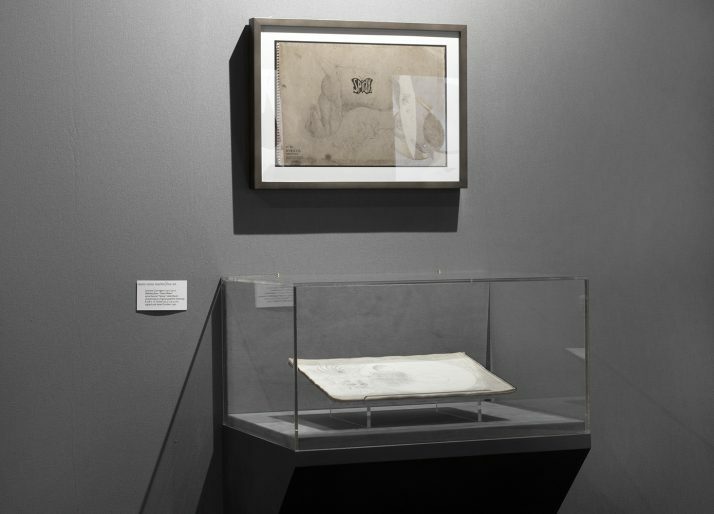 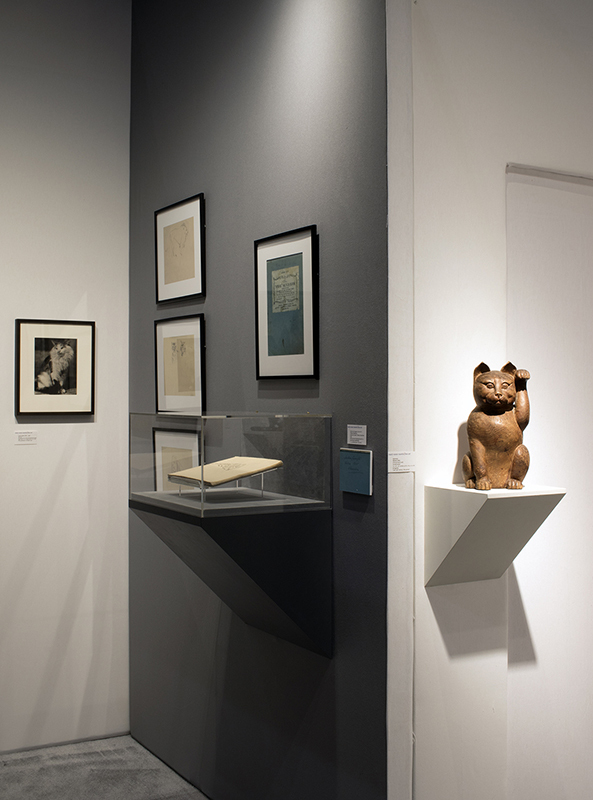 The one we are exhibiting is still intact after 78 years and consists of original front and back covers and 30 graphite drawings. 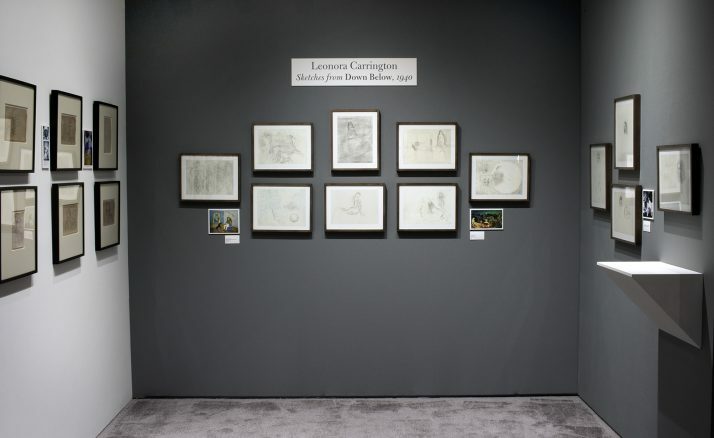 The sketches bear witness to Carrington’s exquisite draftsmanship, imagination and creativity. Several of them relate directly to paintings she completed in 1941- 42 following her release from the hospital, her journey to New York and reconnection with expatriate surrealist friends, including André and Jacqueline Breton, Stella Snead, Luis Buñuel, Amédée Ozenfant, Max Ernst and Peggy Guggenheim. 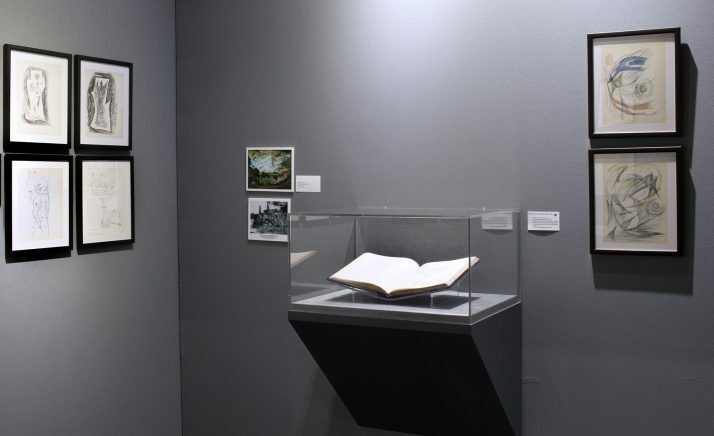 The notebook was acquired by a private collector from the Surrealist dealer Julien Levy (1906-1981), who obtained it directly from the artist. 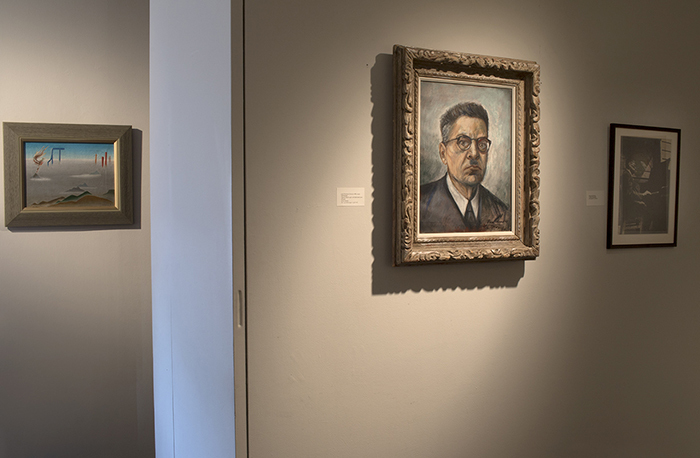 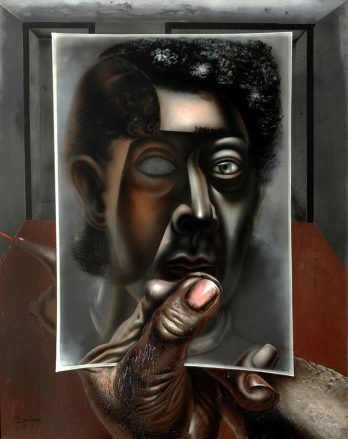 Click the link below to read an essay about Self-Portrait with Mirror, explaining its importance within Siqueiros’s body of work and the artist’s impact on Modern art in America. 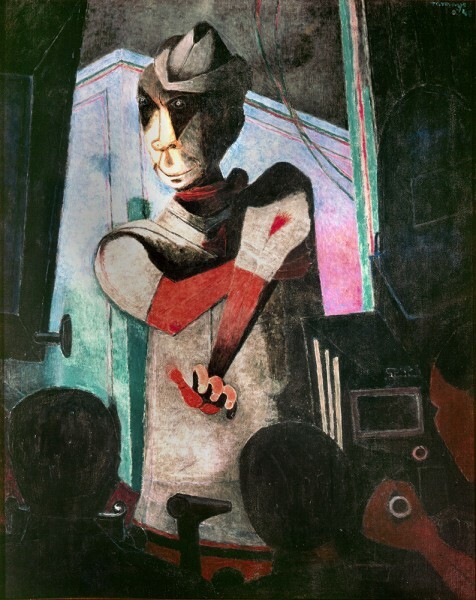 Self-Portrait with Mirror exemplifies David Alfaro Siqueiros’s deep interest in radical techniques and materials. 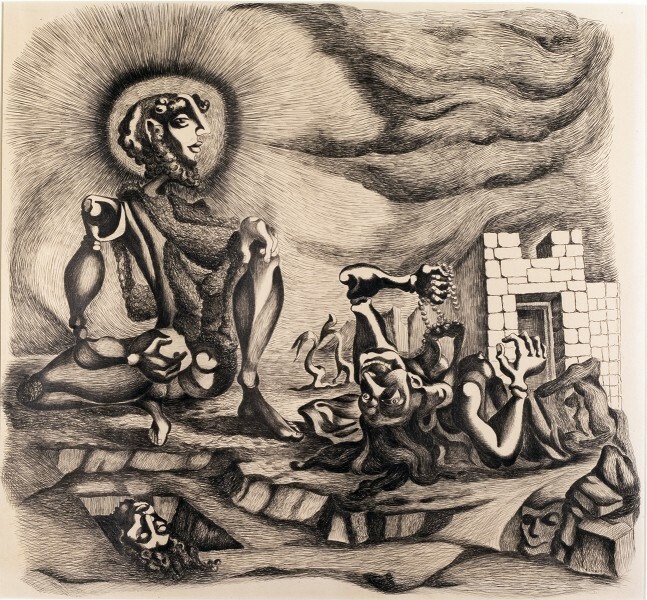 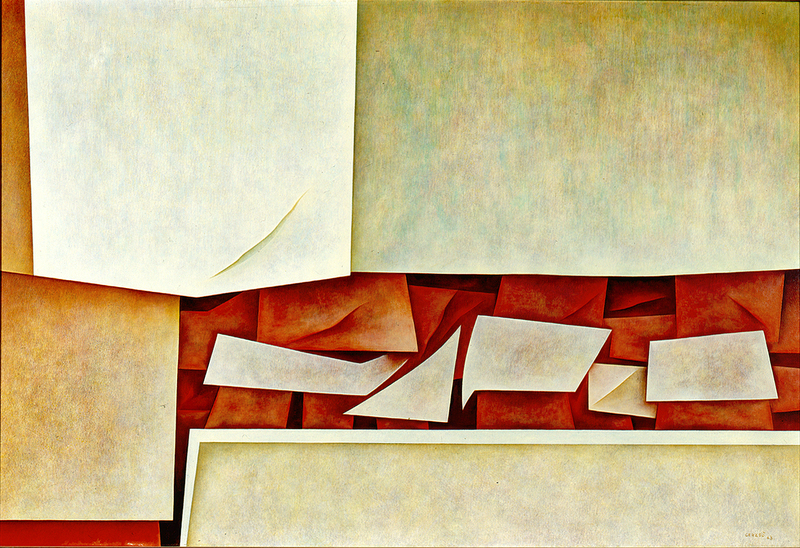 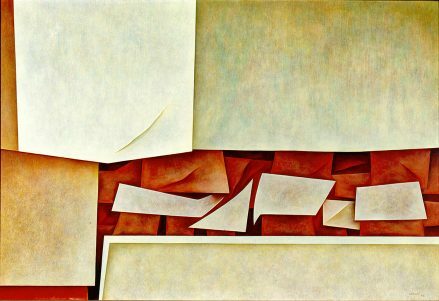 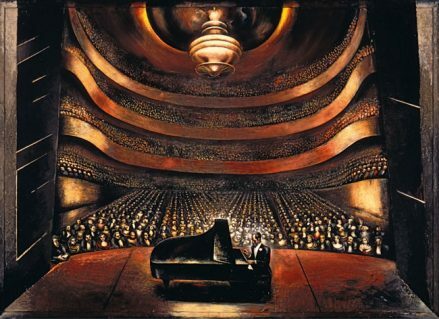 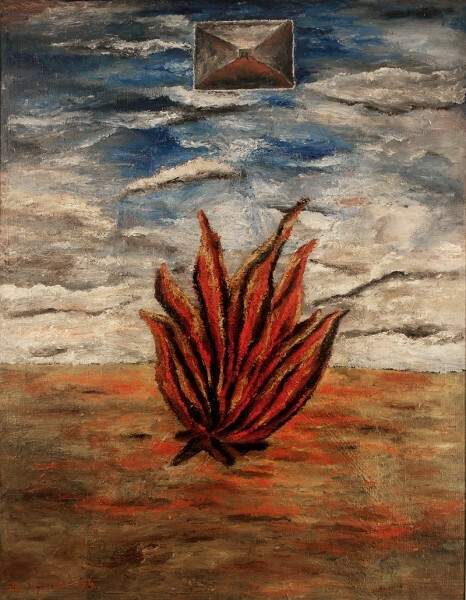 Painted in 1936, while Siqueiros was conducting the Experimental Workshop in New York City at 5 West 14th St., the work is airbrushed with pyroxylin on a sheet of Bakelite. 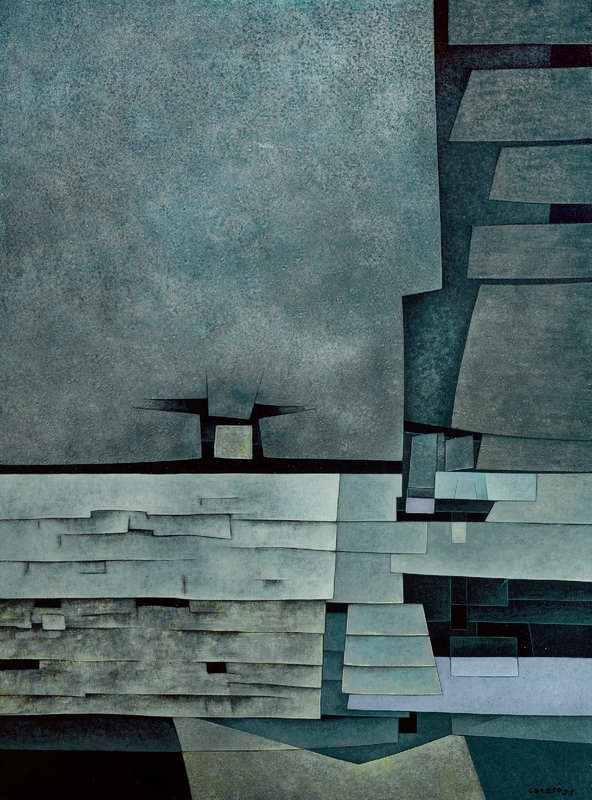 Pyroxylin (Duco) paint is a nitrocellulose paint manufactured for the automobile industry. 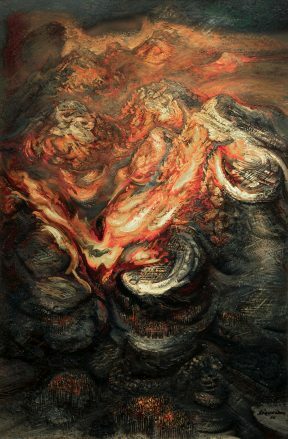 Dr. Irene Herner, the highly esteemed expert on Siqueiros, visited Mary-Anne Martin|Fine Art to view and research the painting. 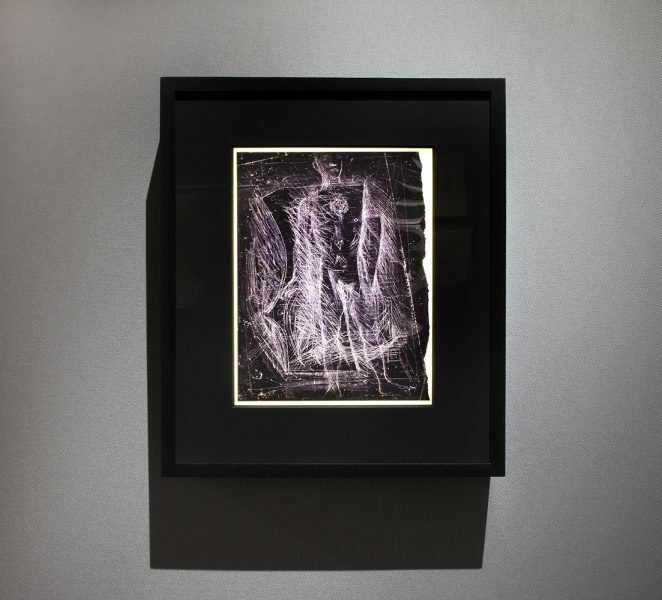 The work was taken out of the frame so that its highly unusual medium could be examined. 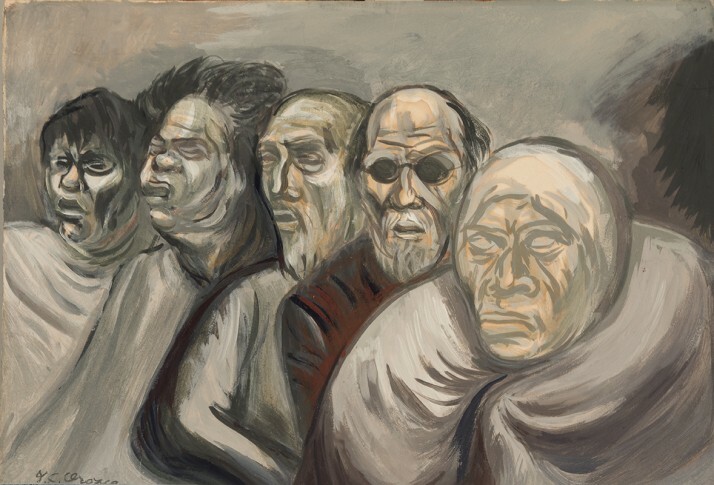 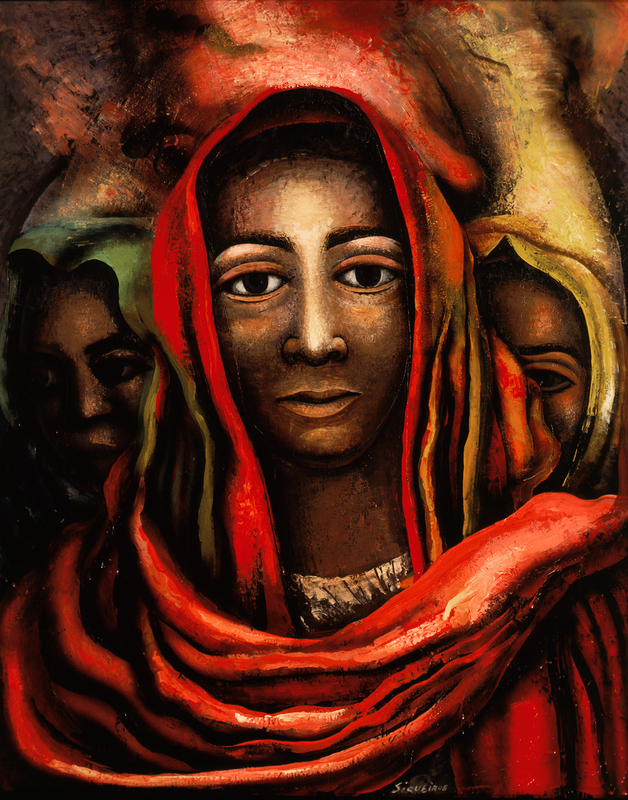 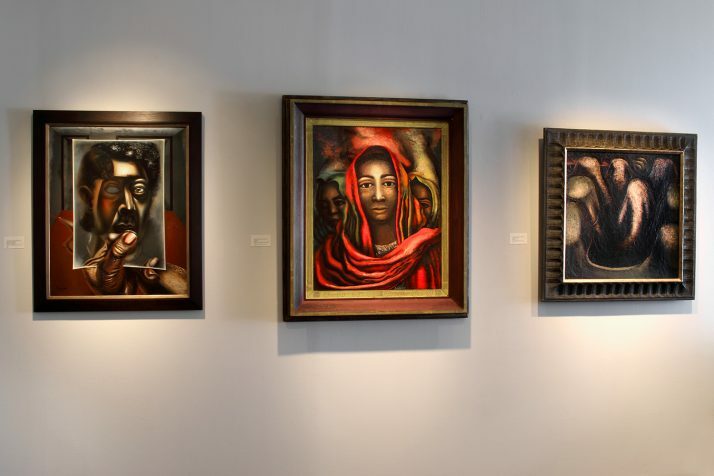 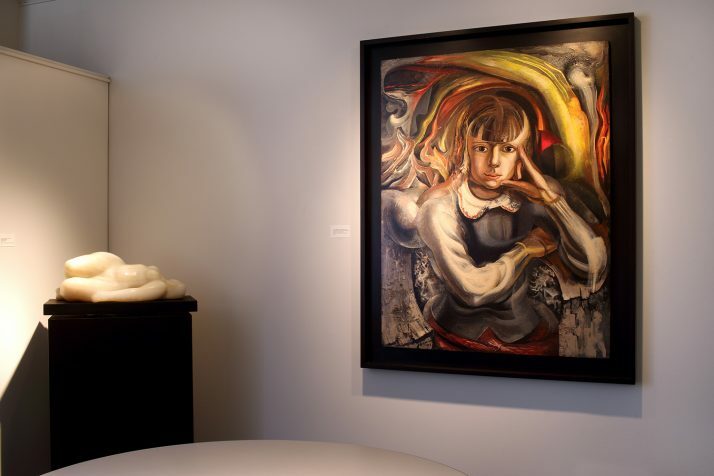 Mary-Anne Martin|Fine Art presents a mini exhibition of seminal works by David Alfaro Siqueiros, spanning twenty years of his career. 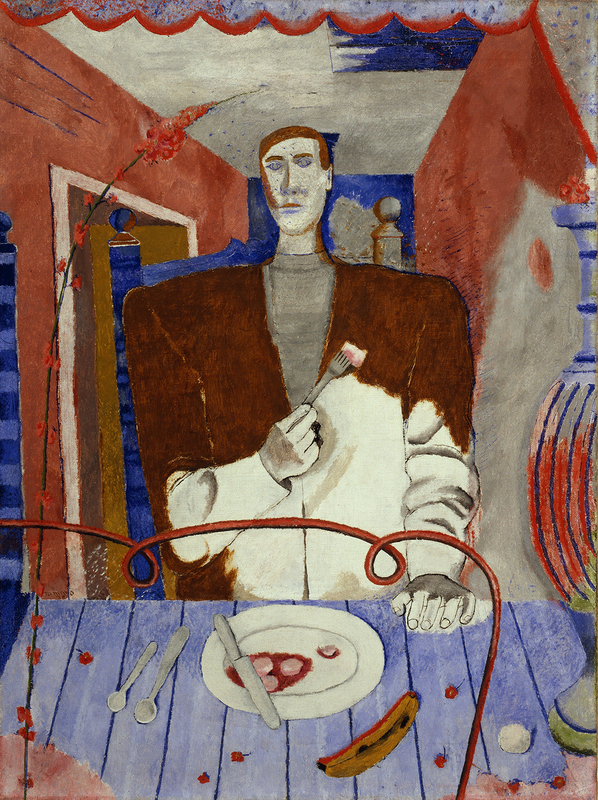 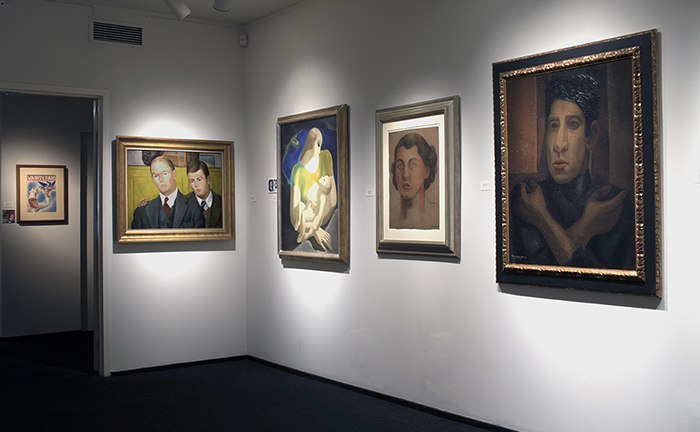 Self-Portrait with Mirror (1937) is being exhibited to the public for the first time since 1937. 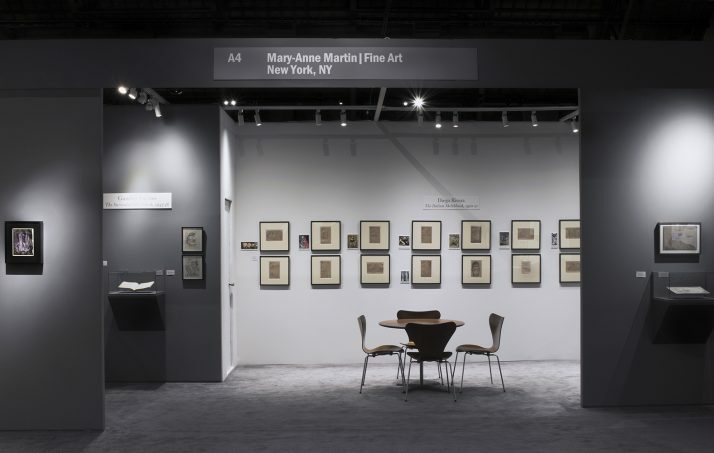 We invite you to visit Mary-Anne Martin|Fine Art at Art Basel Miami Beach (Booth D2), November 30-December 4, 2016. 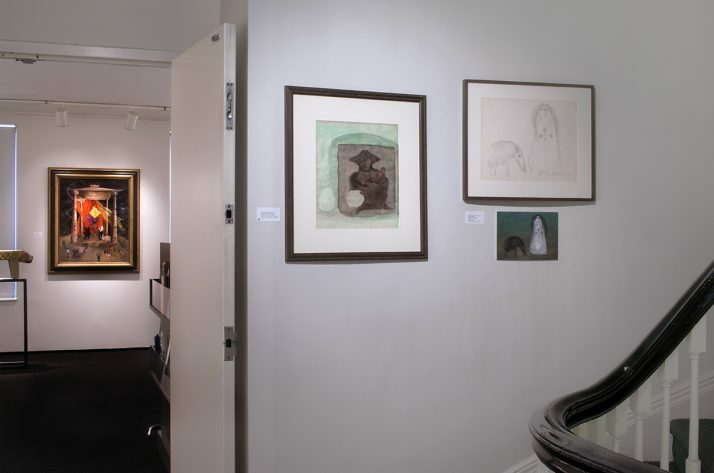 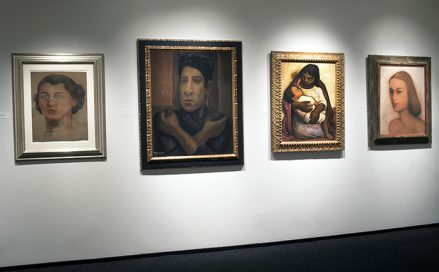 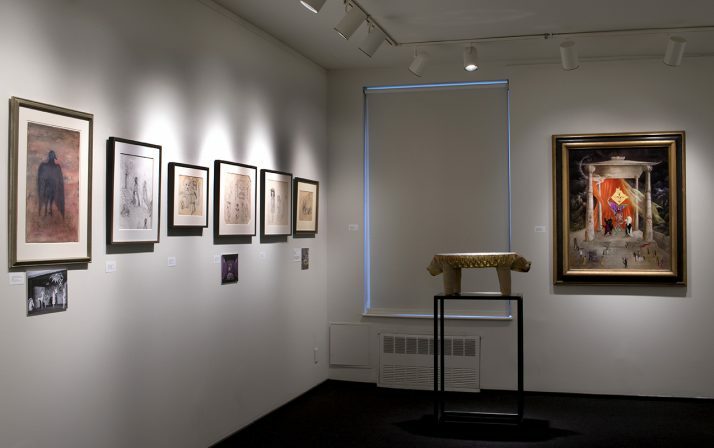 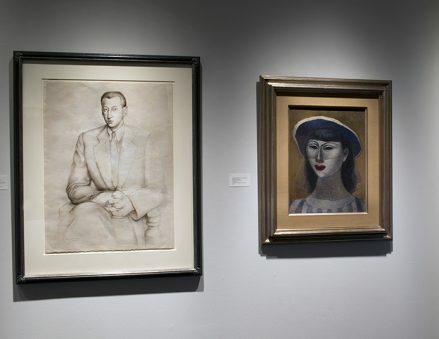 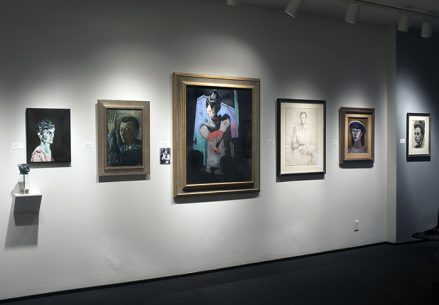 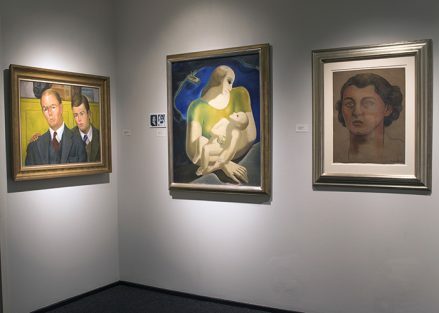 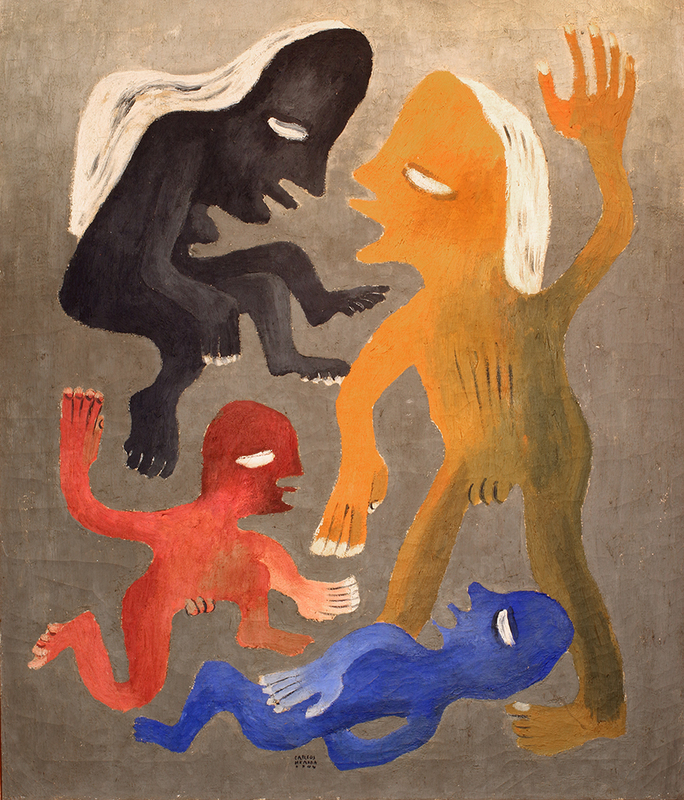 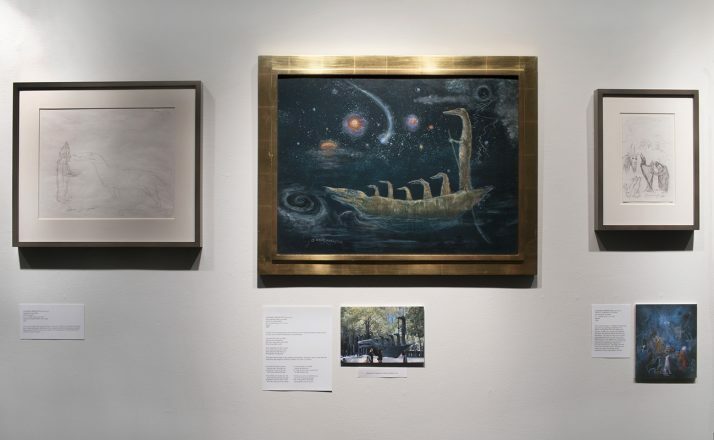 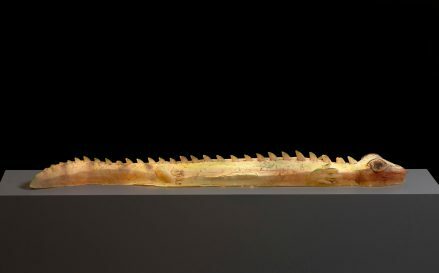 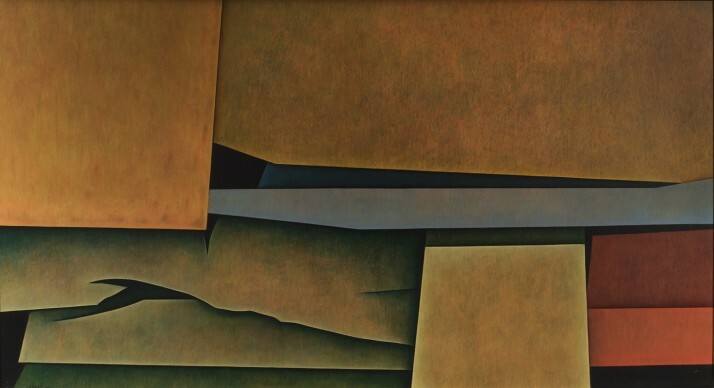 The gallery will exhibit recent acquisitions and a selection of “classic” inventory including masterworks by Mario Carreño, Leonora Carrington, Gunther Gerzso, Matta, Carlos Mérida, Diego Rivera, David Alfaro Siqueiros, Rufino Tamayo, Francisco Toledo, and Remedios Varo. 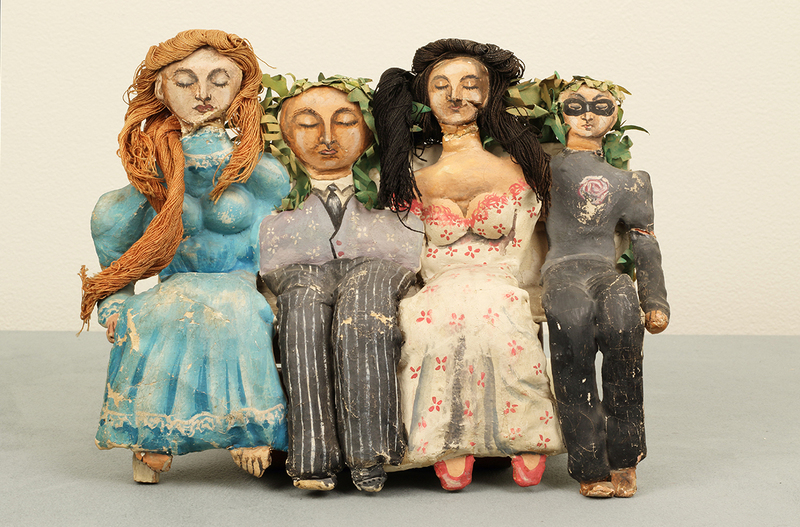 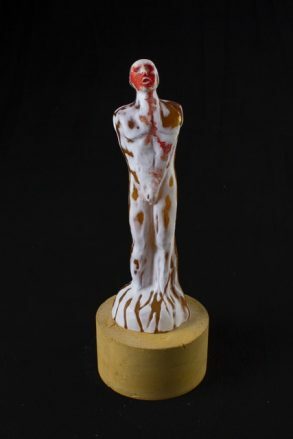 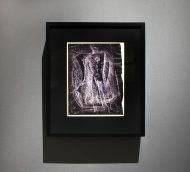 We will also feature new works in glass and on paper by Panamanian artist Isabel De Obaldía. 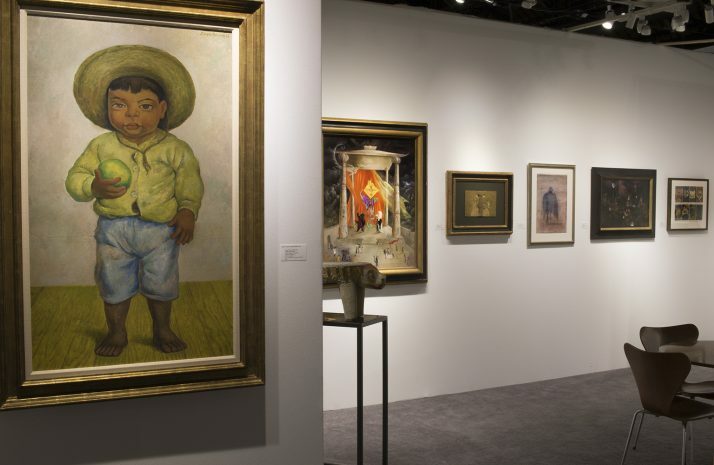 Visit the Art Basel Miami Beach website to learn more about the fair. Please contact Mary-Anne Martin for more information. 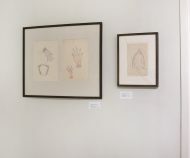 The following is a selection of works that will be exhibited. 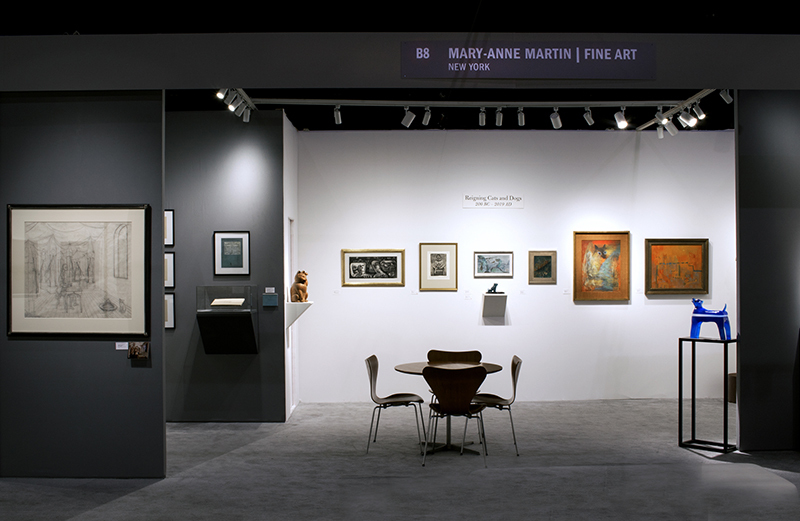 Please visit Mary-Anne Martin|Fine Art at The ADAA Art Show at the Park Avenue Armory, March 2-6 (Booth A15). 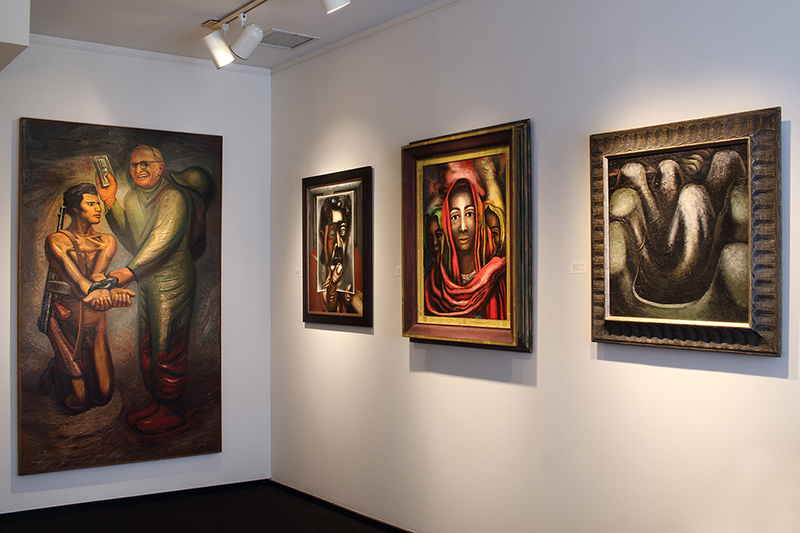 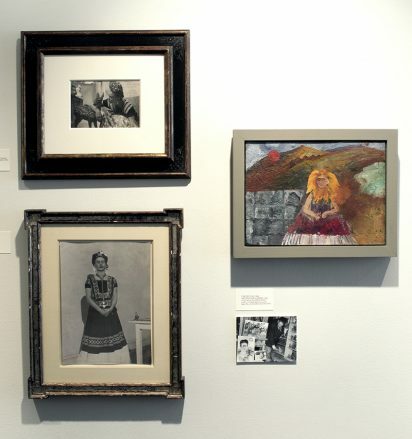 The gallery is featuring works by Mexican and Latin American artists who were influenced by 20th Century avant-garde European movements.